My vacation was hands down one of the best experiences of my life. Sure the weather was cold and wet, there were a lot of early mornings, a few late nights, and one or two meltdowns, but all of that combined couldn’t put a damper on how happy I was. We rented a small one bedroom apartment in the 1st arrondissement. We were two streets away from Avenue de l’Opera, about halfway between the Louvre and Palais Garnier. 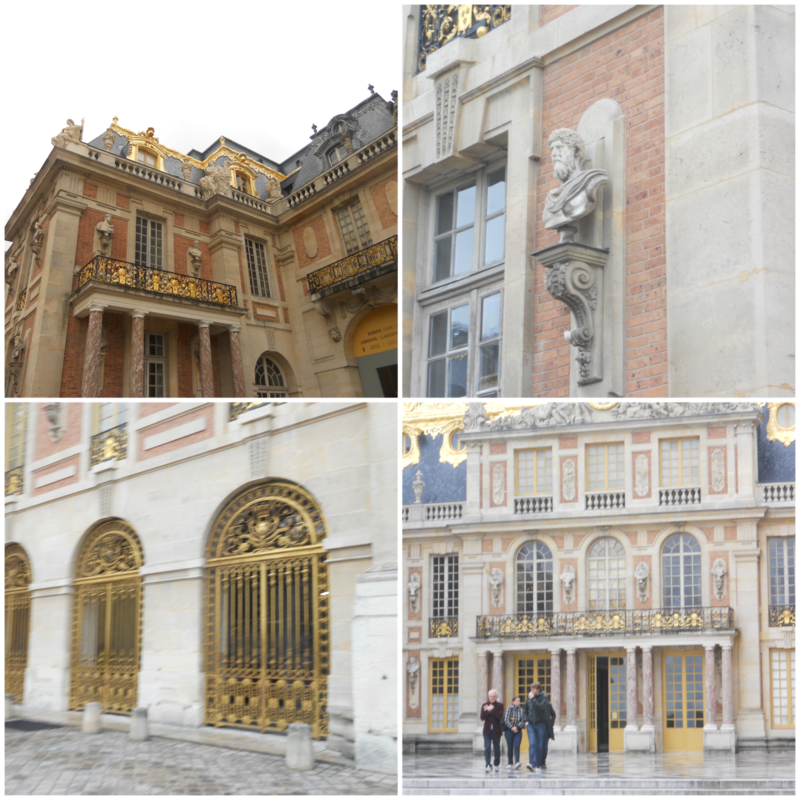 Opera is a busy street with gorgeous buildings, and wonderful stores, restaurants, boulangeries, and chocolate shops. Being so close to it made me feel unbelievably alive. There was a Starbucks on our corner, Hallelujah. Caramel Macchiato’s make me happy. 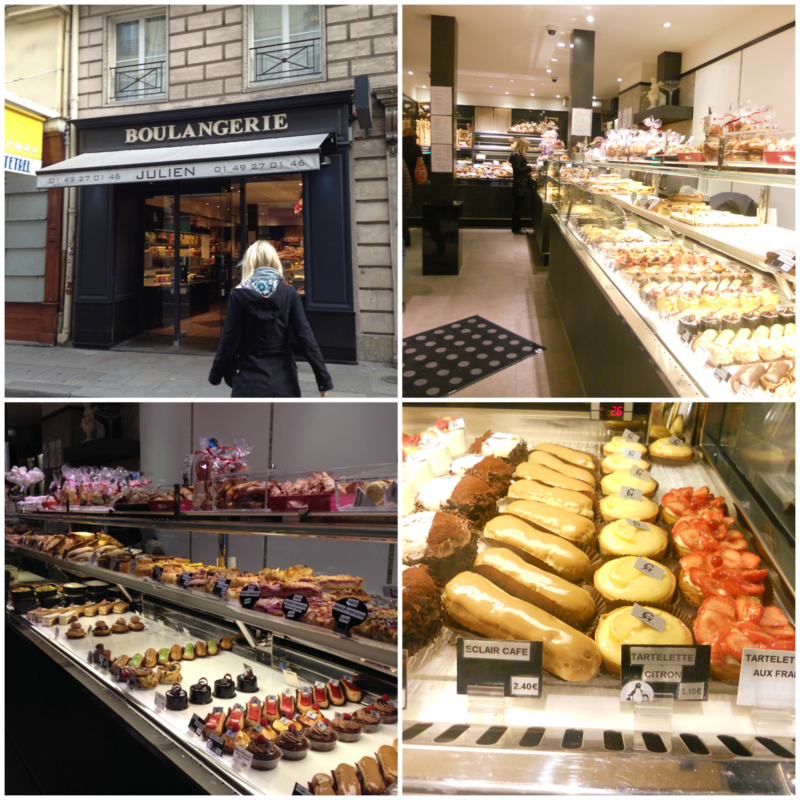 We were also across the street from the very best boulangerie we found, and believe me, we tried quite a few. If you are ever in Paris and near the Opera you absolutely have to go to Boulangerie Julien. 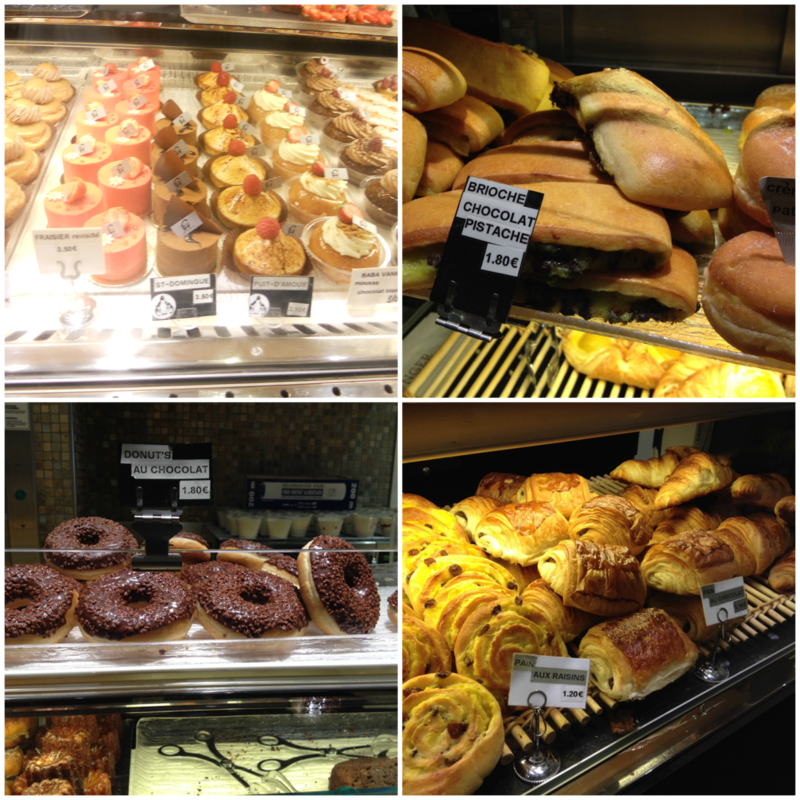 I promise that the Pain au Chocolat and the Brioche Chocolat Pistache are worth it. The yumminess on the right is a fresh raspberry macaron and a strawberry tartlette. Om nom nom. I’ve dreamed of visiting Paris since I was a little girl. And all the dreaming in the world could never have prepared me for it. Its beauty and vibrance was overwhelming in the absolute best kind of way. 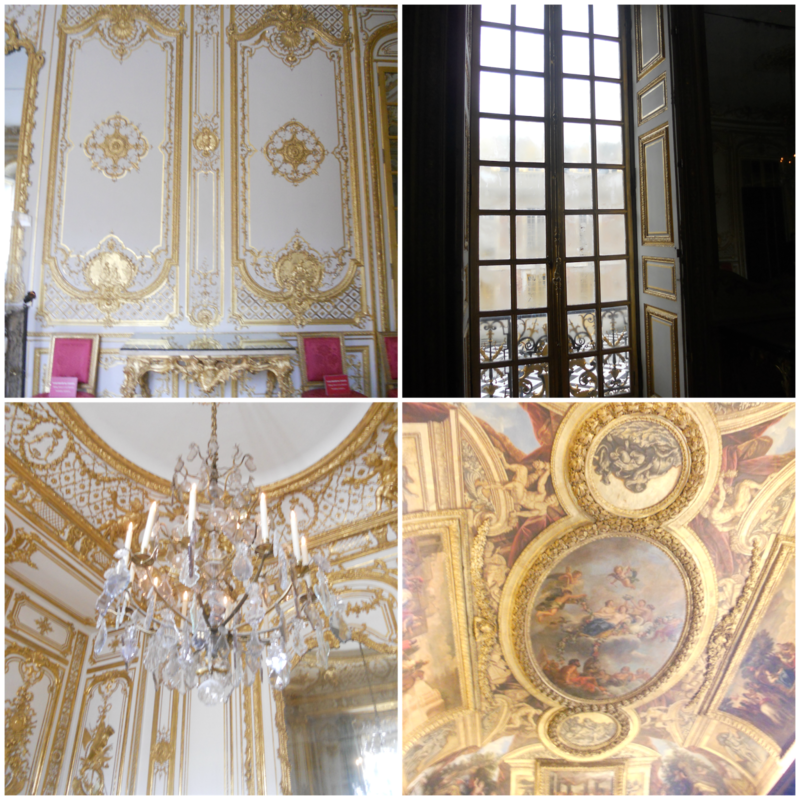 For a girl who loves architecture, detail and decor it was absolute heaven. 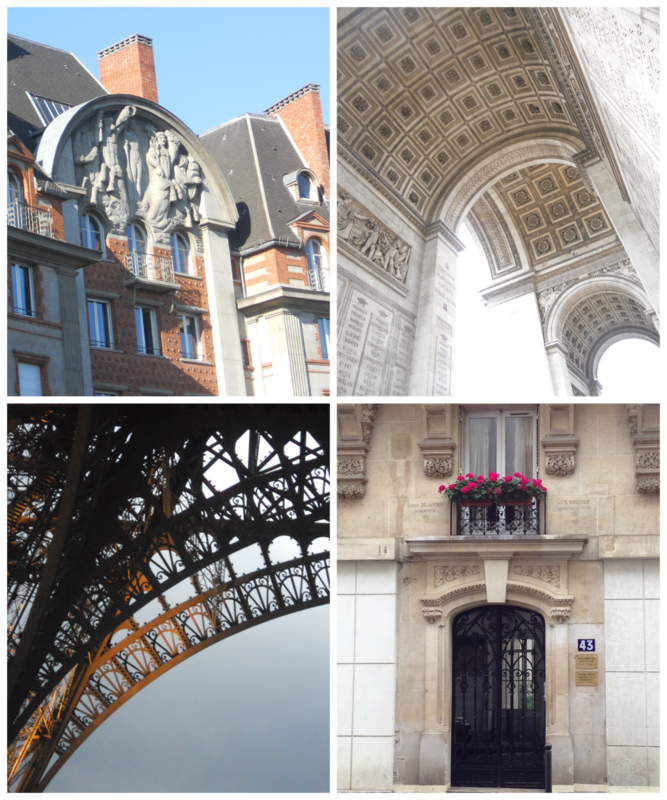 Its hard to narrow down what my favorite thing about Paris is. Sure, I could pick an attraction, or a building, or a restaurant. But that would be too typical. But if I have to pick just one thing, its the design, detail, and creativity that is put into every inch of the city. Nothing is over looked. And it blows my mind. I could quite easily spend days walking the streets, soaking up my surroundings, and marveling at how ornate everything seems to be. Sadly on a trip that’s only 8 days long wandering the streets is really not an option if you want to see all the popular sights. 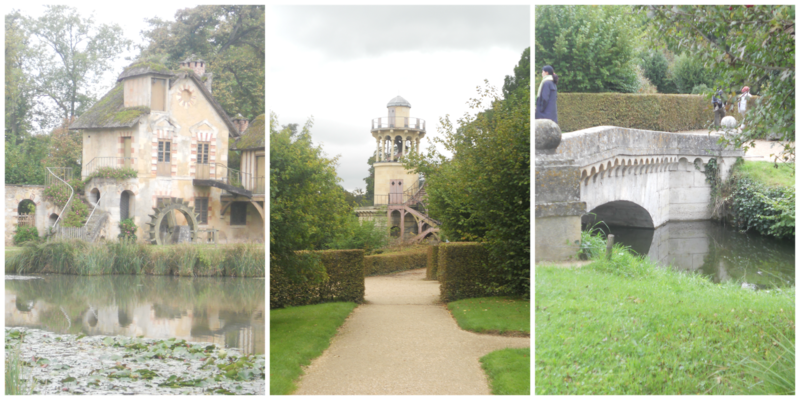 So, on the first full day we were there we decided to do a hop on – hop off tour with L’Open Tour. Except well, we didn’t do much hopping off. We just rode the bus around the city to get a feel for it, find out where everything was, and decide what areas of town we wanted to revisit. It turned out to be a great idea, and I’d recommend it to anyone visiting the city for the first time. I’d recommend the tour company we used as well. The buses were clean, they had an audio option, and they have four different tours to choose from. I’ve gotta say, there’s something to be said for riding around a new city on the top of a bus, even if you are frozen. There’s also something to be said for a man in a well tailored suit like 85% of the men in Paris wear, but I didn’t even try to take any pictures of that, for fear of being caught. We were frozen, and hats and mitts were purchased that night. But we had a wonderful day. We also decided to buy Navigo passes for unlimited access to the bus, metro and RER while we were there. A pass for two weeks was just 80 euros each, and we used them a lot. Seriously, we either walked or used our Navigo passes to get everywhere including the airport and suburbs. The pass also gave us access to bike rentals that you could pick up and return to any part of the city. We didn’t use those though, we were too scared of trying to bike around in Paris traffic, which is nuts by the way. I would never try to drive there. Before I left home I downloaded an app for my iPhone that helps you navigate the metro, even without wifi. It was a godsend. 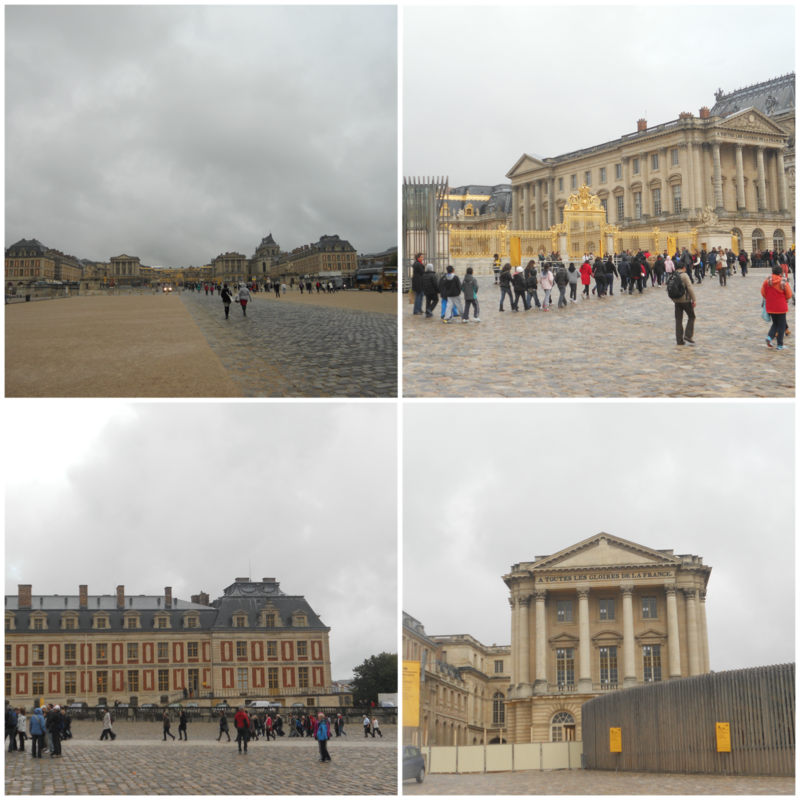 Having RER access meant we could easily get to the suburbs to visit the Palace de Versailles. This particular excursion was on Shelley’s list of things to do. And if I’m being honest, I wasn’t looking forward to it. I’m not all that interested in history so I had less than zero desire to spend a entire day in the palace of a fallen monarchy, especially since wasn’t even a castle. But holy crap, I was blown away. It is huge, like GINORMOUS. It was beautiful. I know I keep saying that about everything, but it really truly was. 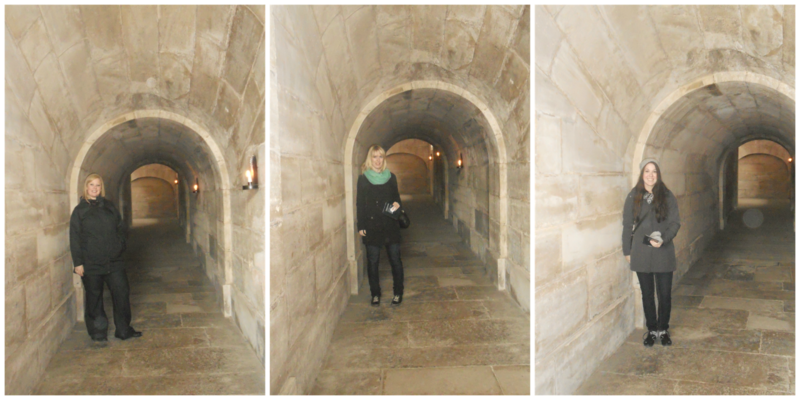 We took a guided tour that gave us access to areas of the palace that are off limits to people with regular passes. I’m glad we did because it actually made me interested in the history of the palace and the monarchy instead of just the insanely amazing architecture. 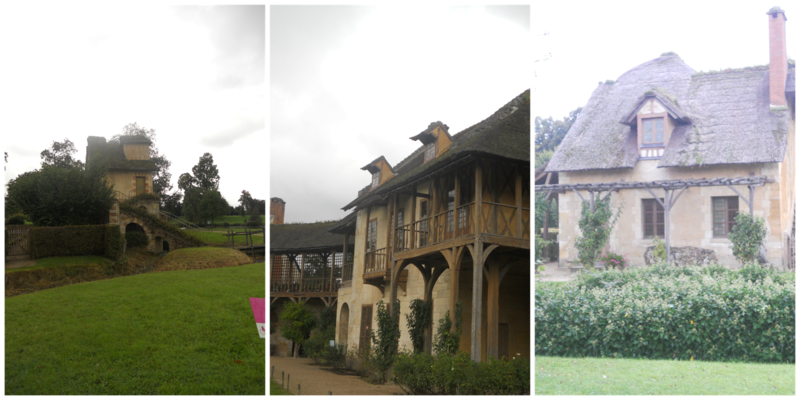 It blows my mind that all of this was built by hand hundreds of years ago. Long before cranes and cement trucks. Those are not individual buildings people. All different wings of the same one. Huge right? All that gold paint you see, yeah, that’s real gold. Everywhere. 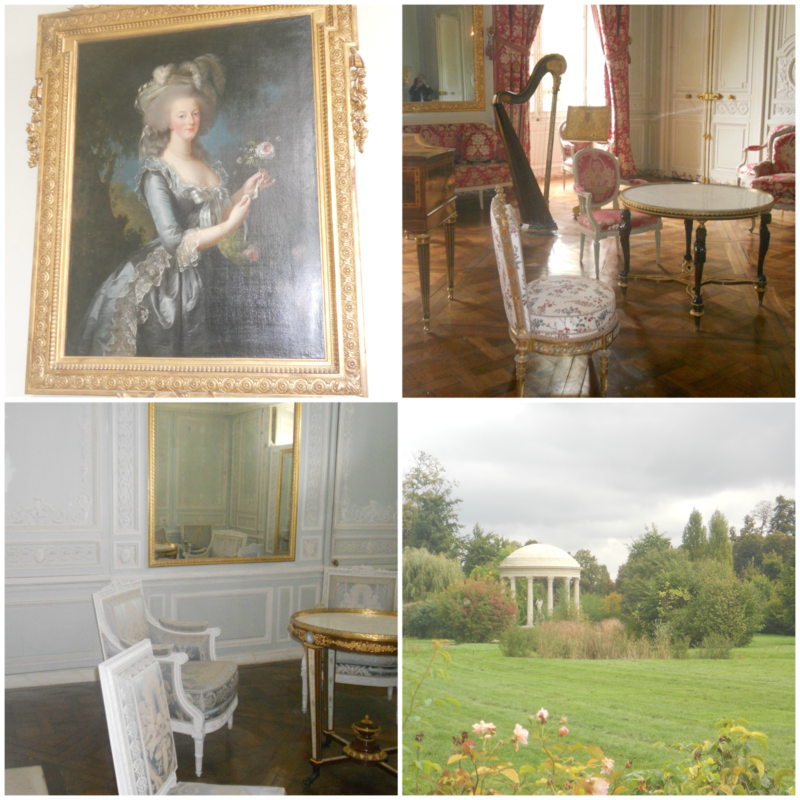 We learned a lot about Marie Antoinette, who I must admit I thought was a fictional character until two weeks ago. What? Its not my fault. They don’t teach that stuff in school anymore. 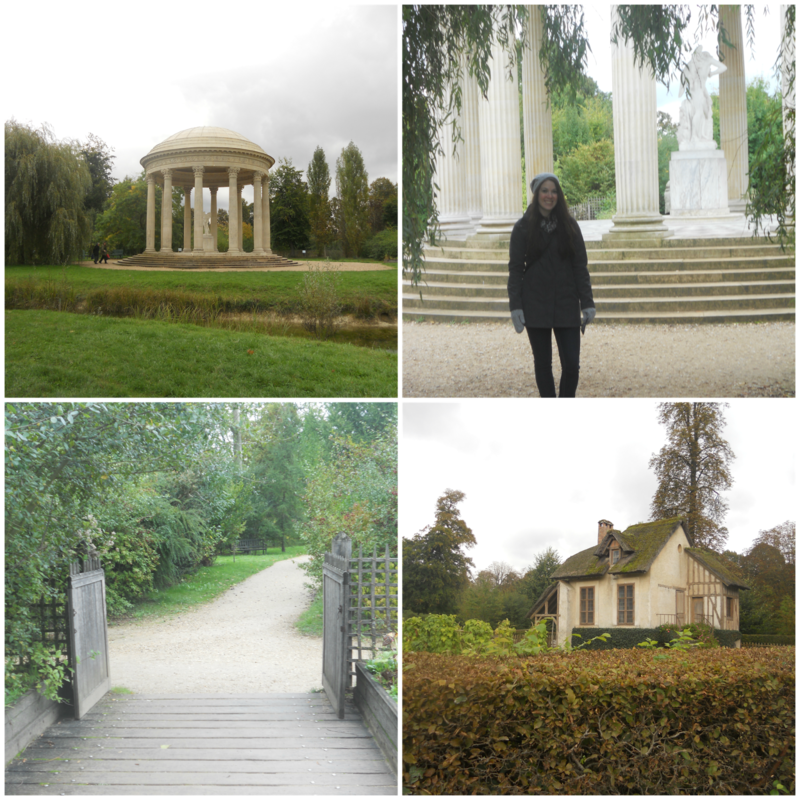 Turns out she wasn’t a very good queen, and they killed her by guillotine, but not before she built her own hamlet on the estate. Because you know, every queen needs her own hamlet when the rest of the country is starving. Thanks for letting me relive my trip. Hope you’re enjoying it and are feeling a little inspired to visit. I promise not to turn this into a series that goes on forever, I just can’t do it justice in one post. So check back for Part Two tomorrow.